Do You Feel Insecure, Alienated or Unsafe in Your Life and Relationships? Are you overwhelmed or exhausted by constant worries, doubts or fears? Has a troubling relationship or experience left you or your child feeling broken in some way? Does it feel like every moment is a struggle as you face sudden, distressing thoughts and emotions that you can’t seem to manage? You may go through the day expecting something terrible to happen. Or, maybe you feel empty, numb or disengaged, as though you were living your life through someone else’s eyes. Are doubt and uncertainty impacting your relationship or career? Are you struggling to understand what triggered the sense of insecurity you are experiencing or how you can restore a sense of safety in your life? It may seem like everyone around you is able to move through life effortlessly, and you can’t understand why you are having so much trouble. You may try to stay busy and live a fulfilling life, but no matter what you do or who you are with, you can’t seem to escape the nagging sense that something is wrong. Perhaps you see risks and dangers all around you, and the world that once felt so safe has become a frightening place. You may have become hypervigilant, making it hard to concentrate on personal and professional obligations. Alternately, you might feel like there is no purpose or meaning in your actions, leading you to withdraw from relationships and activities you once enjoyed. Maybe you turned to alcohol, drugs or another potentially harmful behavior to try to avoid stress, negative self-thoughts and difficult emotions, but now you feel even more isolated and helpless to find relief. Do you wish you could feel secure and confident enough to relax, let go of fear and enjoy your life? Many individuals feel stuck, on edge or dissatisfied without understanding why. They may recognize that they have reasons to feel happy and secure, but they cannot seem to find or hold on to a sense of joy and safety. Traumatic or ‘bad’ childhoods can mean physical, sexual, and/or emotional abuse/neglect. Kids in these situations often have to idealize their parents while trying to forget those times they felt hurt or worthless. 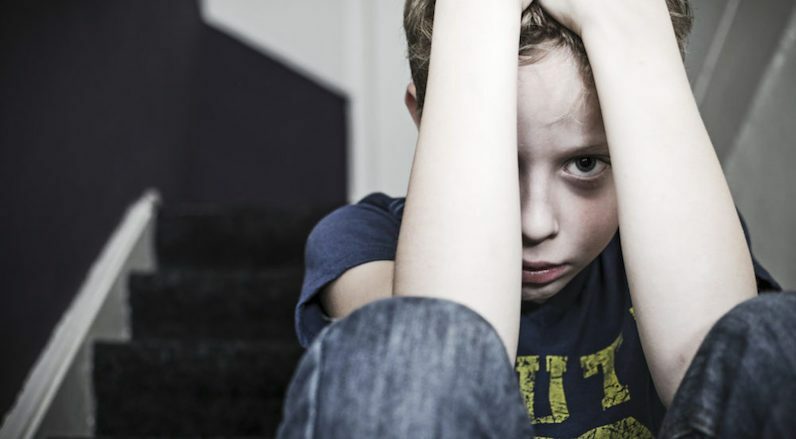 By some estimates, up to 30 percent of children and adolescents are mistreated or suffer relational trauma, and at least one in five can develop signs of complex PTSD. Across the U.S., 7.8 percent of the population will develop PTSD in their lifetimes. But, many individuals are unaware of how the messages they received during childhood continue to impact their relationship patterns and sense of self throughout their lives. If you have grown used to pain or self-sacrifice, it can be hard to recognize when your needs are not being met. The distressing thoughts and emotions that arise following a life-changing event or relationship can permeate every aspect of your life. The often overwhelming sense of fear and doubt is known as complex Post-Traumatic Stress Disorder (C-PTSD), which can leave you questioning your self-worth and feeling like you are alone or broken in some way. But, the truth is that almost everyone goes through events or relationships that change the way they see themselves and the world around them. You are not alone, and there is hope for healing. With trauma counseling, you can gain the guidance, support and practical tools you need to manage difficult thoughts and emotions and foster peace, confidence and joy in your life. Therapy has been shown to be one of the most effective methods for adults and children to learn how to process and overcome traumatic relationships and experiences in order to live a happier, more satisfying life. I foster a warm, compassionate environment where you can feel emotionally and physically safe exploring your worries, fears and frustrations. My goal is to understand what it is like to live in your shoes to hear, validate and share your experience. When you feel like you have an ally in what you are going through, you can see that you aren’t alone and that the difficult thoughts and emotions you are experiencing can be understood, managed and resolved. During our sessions, we will work together to identify and resolve those events or relationships that have left you feeling anxious, fearful or detached. I can help you see that your experience doesn’t mean something is wrong with you, but rather that you developed ways to survive your past that may be diminishing your quality of life in the present. This shift in perspective can allow you to recognize and accept your strengths that got you through your trauma(s) instead of feeling ashamed or blaming yourself for what happened or the time it takes to heal. You can begin to empathically understand your own experience which fosters a sense of confidence and trust in yourself. I know from personal and professional experience how beneficial a trusting, therapeutic relationship can be in learning to manage and overcome hardships. With the right guidance and support, you can develop the resources, skills and awareness you need to feel safe, confident and empowered being yourself. Instead of feeling guilty for taking time to focus on your own needs, I help you see that it is healthy and important to reclaim the desire to be acknowledged, respected and appreciated by the people you care about. I don’t want to blame my parents for all of my problems. While our past relationships and experiences during childhood can impact how we feel, I am not here to point fingers at your parents or caretakers. Instead, my goal is to help you understand how you are suffering and what factors or unmet needs may have contributed to negative self-beliefs and unhealthy relationship patterns. During sessions, we will put our heads together to understand how you can find relief and start living the life you want to live. Everyone has baggage – my problems aren’t serious enough to be called ‘trauma’. In our culture, we’re often expected to deal with physical and emotional challenges ourselves, and it is common to minimize our own suffering and struggle to believe that we may have PTSD or relational trauma. Whether you believe you are dealing with trauma or just going through a difficult period, there is no shame in taking your experience at face value and giving it the attention it needs. Trauma and PTSD counseling can help you understand why you are struggling and what you can do to find relief. I don’t want to dredge up the past. I’d rather focus on my life now. 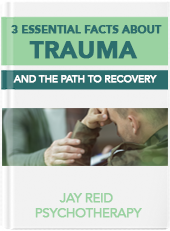 Many individuals are concerned that trauma counseling will focus on painful past events without providing the education and resources they can use to find relief. While exploring your past relationships and experiences can be helpful, our goal is to understand what is and isn’t working in your life today. Sometimes we can accomplish this goal with a focus on the present. Therapy with me will always progress in the direction and pace that feels right and true to you. 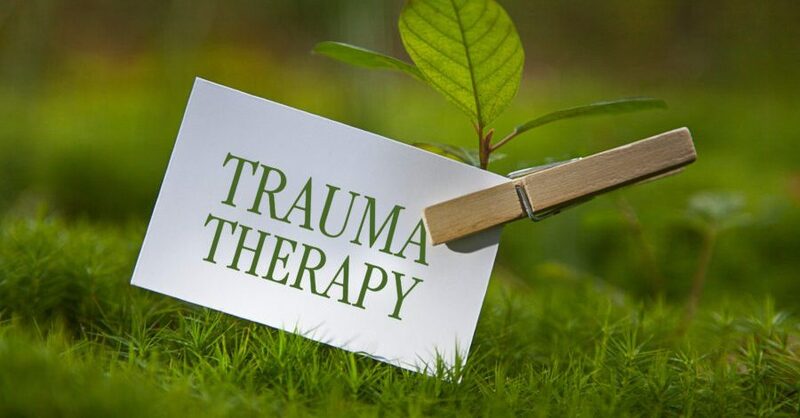 If you are ready to build a more peaceful, satisfying life and relationships, or if you have additional questions about trauma therapy at my office in downtown San Francisco, I invite you to contact me at (415) 944-3628 or email me to schedule a free 15-minute phone consultation. "Jay Reid has a special combination of being a deep thinker and also being approachable. It is easy to talk to Jay and I suspect that is one of the best things about him when in the therapy room. In addition to his warmth, I especially respect his insight into the myriad ways that trauma histories impact people. Jay is an excellent psychotherapist."